We make cars go from "Mild to Wild"
Welcome to Archie's Auto Body L.L.C. which is owned and operated by Emilio "Archie" Accetturo. He has been in the auto body business for over 25 years and is well known all along the east coast for his expertise and creativity, especially his hand drawn flames. He works on all cars from antiques to the newest models, including insurance work. 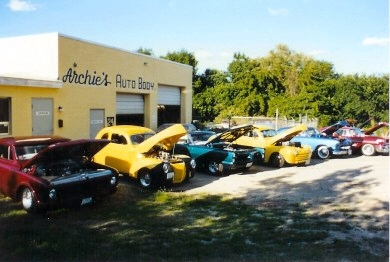 If you are interested in owning a hot rod or muscle car or if you want to customize your present vehicle call or visit Archie. He will use his skills and knowledge to create the car of your dreams. 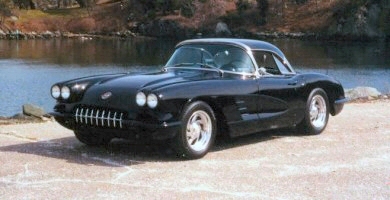 His cars are "one of a kind" and his award-winning work is sure to please! Our mission is to exceed the expectations of our customers by providing top quality, reliable auto body repair work in a customer friendly and comfortable work atmosphere.